Teacher’s Comments: A premium ball from an independent manufacturer. Very expensive. When I first got an email asking if I’d like to try a “Clear Golf Ball,” I had a moment where wondered how that would work. Balls are hard enough to see in the morning dew without making them colorless. A clear ball would be pretty radical. The Clear Golf Balls are, however, classically white. It is the marketing plan that is radical. Rather than mass marketing and competing on price, Clear restricts supply, and prices their product significantly higher than other premium balls. 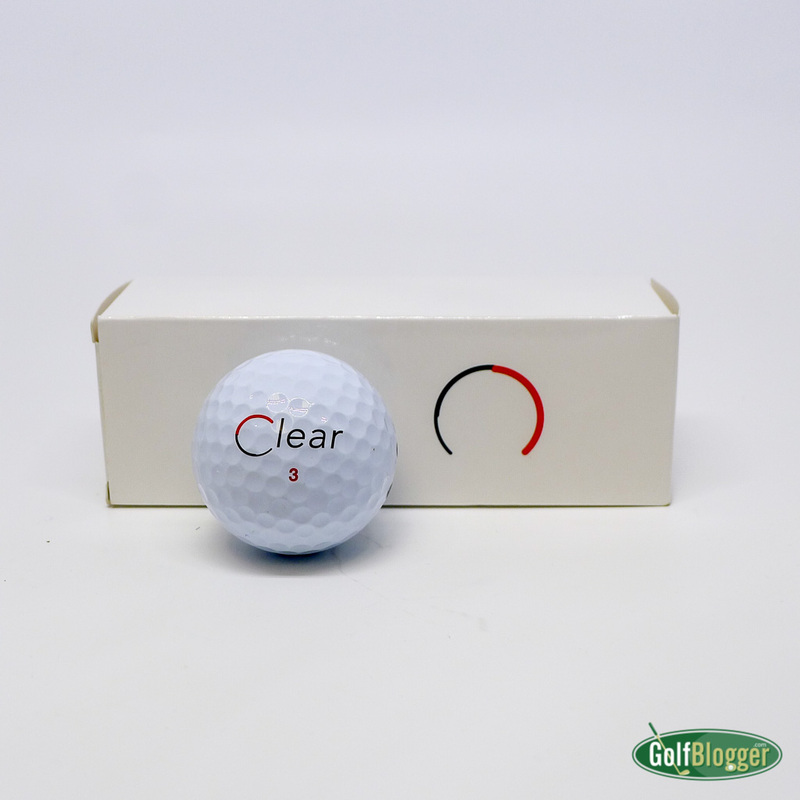 To purchase Clear golf balls, you’ll need to apply for an “annual membership” priced at $950, which includes includes twelve dozen Clear Balls. That works out to $79 a dozen. So what do you get at $79 a dozen? Contrary to what you may hear from major manufacturers, the choice of the best ball to suit your game is not difficult and complex. If distance is your main priority, you should choose the hardest performance ball that you can play with comfortably. If feel is your main priority, you should select the softest ball that does not sacrifice too much distance. The choice is that simple. Both the Red and Black, Clear says, have a proprietary core which produces the highest Coefficient of Restitution (rebound effect) of any ball on the market. If that’s true, it should result in more distance. The cover for both balls is cast thermoset Urethane. In practice, I really couldn’t tell the difference between the two balls. On several solo rounds, I put both the Black and Red Clear balls in play to kill time while waiting for the groups ahead. What I found was that both the Clear Red and Clear Black are plenty long and felt good off the driver and irons. Around the greens, the both balls also performed well. I have not, however, come away with the impression that the Clear golf balls performed significantly better than my regular mix. With the Clear golf balls, I found myself in the usual spots on the course at the usual distances. Around the greens, check and roll were predictable. I will only note that — in a rather unusual turn of circumstances — I still have all six of my sample balls after several rounds. That includes a round on a vrey tight, wood-lined course. That suggests to me that I may be getting less of the side spin that sends balls careening off to their doom. At $79 a dozen, Clear golf balls are obviously not marketed to middle-class, mid-handicap, muni players like myself. I get along just fine with balls at a quarter of the price. Because I did not see a significant difference in my game, there is no possible way I could justify the price. It is entirely possible, however, that better players who are looking for that last bit of edge may find the Clear golf ball attractive. Players for whom exclusivity is a consideration may also want to look into the Clear balls. I can almost guarantee that you will be the only one on the course that has put the Clear golf ball into play. Try Vice balls, now there’s a nice ball!